If you don’t write a book one day I will put you on restriction and take away your screens, coffee and white wine for a month. What a gift. This was a hilarious read! (nods in agreement with non-petting-head nice lady) Raving beauty with some sort of unidentifiable complex???? Oh I have more than one complex. :) and thank YOU! Former swim teacher? Wowzers. 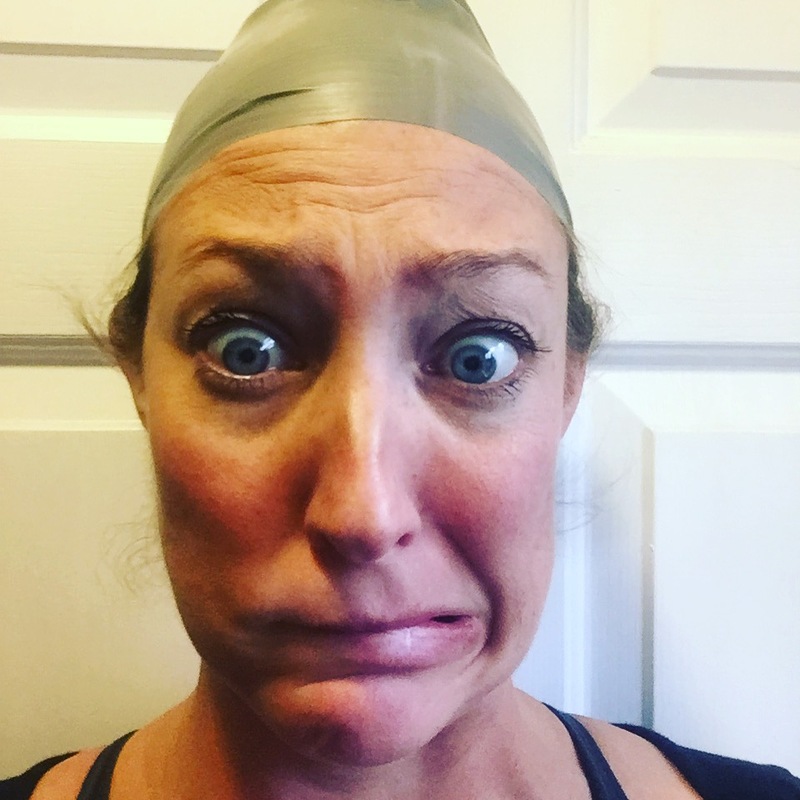 I am not a swimmer, and even though I swim in the semi-fast lane with triathletes (whose strengths are biking and running), I still get nervous almost every practice. The water is cold, will I keep up?, is my technique okay?, will I panic and not be able to breathe? I find that remembering I am doing this for *me* is a good distraction — as everyone is there for themselves (not much talking underwater). When the alpha of the group suggests I go ahead as my pace is faster today, I think that this is a part that shows my progress! Swim teacher = plays with small children in the pool and convinces them to blow bubbles and let go of their mothers. :) It is a lovely thing that there is almost zero chatter. You show up, you swim, you’re out! Bwahahaha, mostly on the inside, love it!